You would have thought that video game publisher Zynga had learned its lesson about throwing money at something it wanted badly. Last year, it tossed $180 million at OMGPOP just to grab Draw Something which was raking in the bucks at the time. But that purchase was made at the game's peak and before you knew it, Zynga's shares were in single digits and the company had taken a huge beating. Now, we have to wonder if history is repeating itself with Zynga's announcement that it had lured away Microsoft executive Don Mattrick with a pay package that can be worth as much as $19 million in the first year. Mattrick was a key player in the division that dealt with the Xbox and besides the money, he gains a seat on the company's board. The former Microsoft executive is receiving a $5 million signing bonus, $1 million in salary, and $11.3 million in Zynga stock to replace the same amount of vested shares he left behind by leaving Microsoft. And that's just the beginning. He gets a grant of 1.7 million shares worth $5 million, an option to buy $7.4 million shares worth $10 million and next year he can start drawing an annual bonus valued at 200% to 400% of his regular $1 million pay check. There is a whole lot more and it all adds up to about $50 million. Ok, most of these are stock-based awards so cash isn't actually leaving the company except for salary and bonuses. 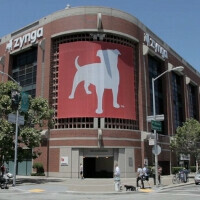 Even so, Zynga is a troubled company. Draw Something 2 has not been a hit and Words with Friends is getting long in the tooth. Don Mattrick could be the guy that turns Zynga around. He has been in video games most of his life, sticking around at EA long enough to collect $21 million in stock options. The next time your parents or your wife tells you to stop playing video games because they are a waste of time, you can throw Mattrick's contract in their faces. Save that company if it can be save with it's glitchy games like WORDS WITH FRIENDS that doesn't work 90% of the time! That $50 million will turn into $50000 pretty quick if he cant change course for Zynga. Given the Xbox One disaster, I dont have much faith.